Calendar: «World Press Freedom Day». «This is an enough information for you!» illustrated quotation. Press Freedom, free quote pictures for Facebook, Twitter, LinkedIn, Reddit, Pinterest and other social networks. 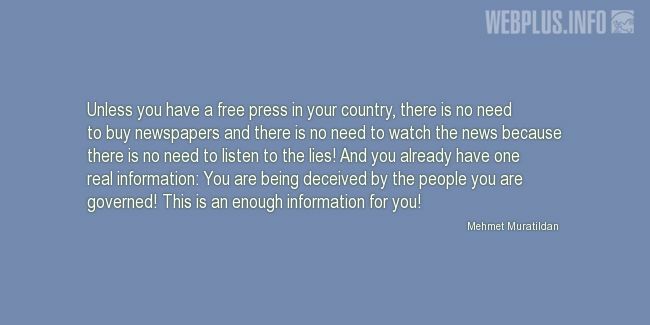 Unless you have a free press in your country, there is no need to buy newspapers and there is no need to watch the news because there is no need to listen to the lies! And you already have one real information: You are being deceived by the people you are governed! This is an enough information for you! This is an enough information for you!